Why Can’t Sabarimala Take A Cue From Haji Ali Dargah? Hardline Hindus should learn a lesson or two from the Muslim community, which did not indulge in any violence when SC allowed women into the dargah. The gates of Sabarimala have closed, once again, and determinedly. This is not just an insult of the Supreme Court, but also the Constitution of India. The entire episode is another reminder how religion and traditions can hold the law of the land to ransom. The Supreme Court had minced no words in its judgement. It had upheld gender equality, and categorically stated that an unscientific reason, like monthly periods, is no ground to deny women entry into the temple. Yet, women couldn’t enter it even with police protection. The violent mob even assaulted journalists reporting the incident. The moot question is: From where do the custodians of religion get this kind of an impunity? When Kar Sevaks tried to enter Ayodhya back in the 1990s, the then Uttar Pradesh Chief Minister Mulayam Singh Yadav had opened fire on them. Should the Chief Minister of Kerala have resorted to that as well? Chief Minister Vijayan’s stance on the Sabarimala verdict was clear. He had welcomed it. And he also avoided the extreme step to prevent loss of lives. The violent mob that prevented women from entering the temple exploited his morally upright decision. There is no doubt that the Kerala government is responsible for executing the Supreme Court's order. And the state government is culpable to that extent. But when the courts deliver a progressive decision, the responsibility of its implementation requires a holistic approach. Top leaders and lawmakers ought to have initiated a dialogue with the people. Instead, they quietly watched the attack on the Constitution. Prime Minister Narendra Modi is the most powerful leader in the country right now. He should have called an all-party meeting and taken the lead. He should have publicly supported the Kerala government in executing the Supreme Court order. This would have sent a strong message to radical Hindutvavadis. But he didn’t do it. Or didn’t want to do it. It is an open secret that the mob was mobilised and instigated by the Sangh Parivar. On the other side, Congress president Rahul Gandhi and his party fled the battlefield. The party currently has the perception of having a progressive façade. Even the cadres of the Left were missing from Sabarimala. If the issue incites religious sentiments, it would benefit the Bharatiya Janata Party (BJP), was their convenient excuse. It requires courage to usher in reforms in the society. Apart from a few exception like Kerala Chief Minister P. Vijayan, nobody showed that courage at Sabarimala. Amidst the entire episode, how many actually thought of the gross injustice being meted out to the women? Treating a woman like an untouchable during her periods has, to a large extent, broken down in metros and cities. We are okay when women work in offices, help us in the kitchen during their periods. But if she touches an idol of stone, all hell breaks loose. Our school textbooks have explained the science behind monthly periods. Those who haven’t understood it, do not deserve to be called literate. What happened at Sabarimala is what happens when men start running their shops in the name of god. If they cannot respect the Constitution that gives equal rights to women, mere dialogue cannot change their minds. For such social reforms to be implemented, we need the support of law as well as political will when dialogue fails. 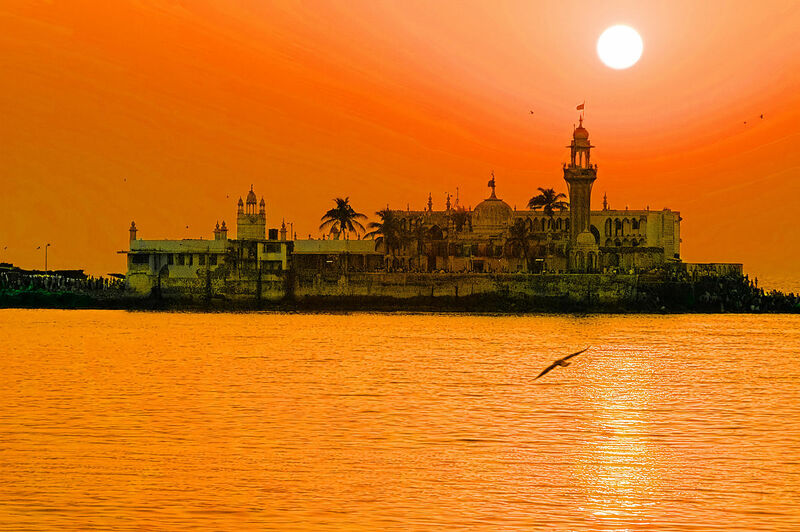 Two years ago, the Supreme Court opened the gates of Haji Ali Dargah in Mumbai to women. Muslim women had fought tooth and nail for the decision. But when the court delivered its verdict, it was not followed with any kind of violence. Hardened Hindus love to taunt Muslims as regressive. Wonder why they could not take a leaf out of “regressive” Muslims this time round. The ghost of Sabarimala is likely to haunt us for a while. The Sangh Parivar had displayed how it could defy the Supreme Court's order regarding Ayodhya back in 1992. If the Ayodhya verdict goes against them tomorrow, through Sabarimala, they have sent a message of what they are capable of. Which is why, nobody should ever make the mistake that Rajiv Gandhi did at the time of Shah Bano. No religious book is bigger than the law of the land. We need to fight for equal gender rights when it comes to every religious place. And for that, we do not need permission from an idol made of stone. Our Constitution should be enough.